Ryan Lovelace is a "freelance surf-craft builder" making some of the strangest sticks I've ever seen. Based out of a bus he's converted into a bohemian abode, Ryan builds all of his boards from beginning to end. Some might seem odd if you're unfamiliar, others will appear obvious if you're interested. Ryan builds v.Bowls, Flex Spoons, finless asymmetrical shapes, displacement hulls and all sorts of single fins. A craftsman, yes, but Ryan is also experimenting and evolving his shapes - nothing stays the same. While surfing in Costa Rica last week, an East Coast kat paddled past me aboard some strange kind of craft. And so I asked, "What sorta stick is that?" To which he replied, "It's a 7'8 v.Bowl made by this guy..." I interject. "Ryan Lovelace?!" Yes, says the surfer. "It's amazing, I can catch anything on it." 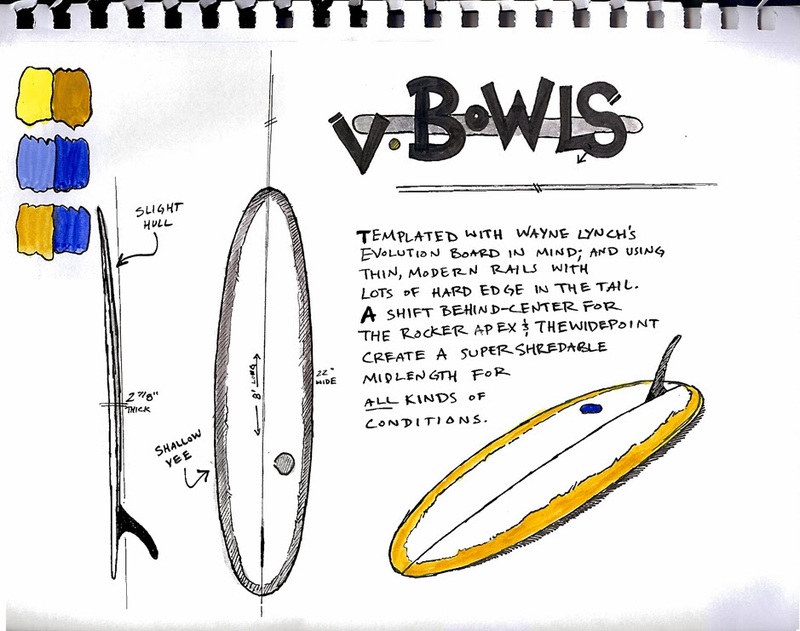 Thus began my research into Ryan's v.Bowls, a surfboard that is "Templated with Wayne Lynch's Evolution Board in mind; using thin, modern rails with lots of hard edge in the tail." Featuring wide hips, a shallow vee and a slight hull near the nose, Ryan's v.Bowls are, as far as I can tell (and from what I've seen), the perfect midlength board for just about any occasion.